1. Who inside thinks your self-images and self-concepts? Since someone inside thinks (hosts, entertains, receives) your self-images and self-concepts, then they cannot be you. Since they cannot be you, your self-concepts and self-images are mere illusions. 2. Who inside has your self-images and self-concepts? Since someone inside has (collects, owns, remembers) your self-images and self-concepts, then they cannot be you. Since they cannot be you, your self-concepts and self-images are mere delusions. 3. Who inside experiences your self-images and self-concepts? Since someone inside experiences (perceives, senses, feels) your self-images and self-concepts, then they cannot be you. Since they cannot be you, your self-concepts and self-images are merely a deluded ego trip. I am my mind, not what is in my mind. I am my mind, not the labels of my mind. I am my mind, not what my mind thinks I am. I am my mind, not the memories in my mind. I am my mind, not memories of judgments of myself. I am my mind, not memories of my behaviors. I am my mind, not memories of my sensations. I am my mind, not memories of my experiences. •1 It is a lie to say that people are their thoughts because people have thoughts and that demonstrates that there is someone having thoughts who is not what they are containing, having, or hosting. •2 It is a lie to say that people are their thoughts because people think their thoughts and that demonstrates that there is someone thinking and hosting thoughts who is not what they are hosting and thinking. •3 It is a lie to say that people are their thoughts because people experience their thoughts and that demonstrates that there is someone experiencing thoughts which is not what they are experiencing or sensing. •4 It is a lie to say that people are their thoughts because people react and respond to their thoughts and that demonstrates that there is someone reacting and responding to thoughts who is not what they are reacting or responding to. 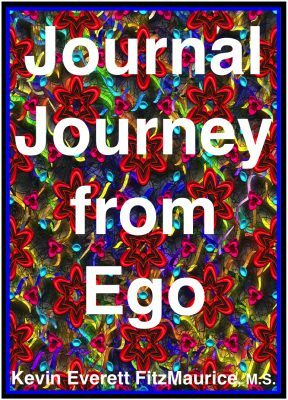 •5 If your self is your thoughts, then your self is constantly going through adjustments, alterations, fluctuations, modifications, and variations along with its thoughts—all of which makes your self inconsistent, nonexistent, and just ego delusions. Are You a Being or an Experience?